This homemade costume for babies entered our 2014 Halloween Costume Contest. This is Deklan, he is almost 6 months old. 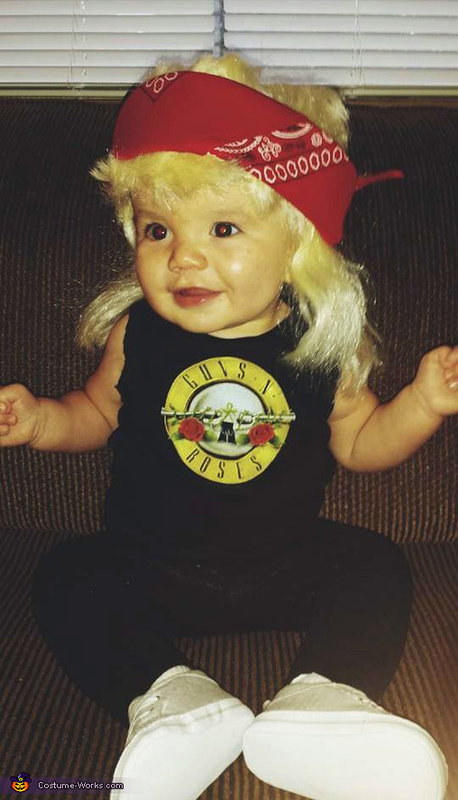 For his first halloween he was Axl Rose. Before he was born, everyone called him Axl because his last name will be Rosen and though it would be SO funny if he was named Axl Rosen. And here we are!